Clichés are so easy to use – but they are a cop-out. You may think they are great ways to motivate your team, but they’re so overused they no longer have any meaning – or motivational power. Or they are simply ambiguous and have no impact. Are you really that unoriginal? First, your employees don’t need a spelling lesson. Second, there are lots of “I”s in your team. Each individual adds a specific talent, perspective and motivation. 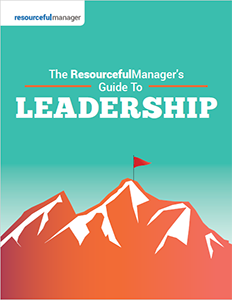 The best managers help each team member recognize his or her special contributions to reaching the overall goal. And they help individuals reach for goals that further their professional development. Not only does this sound flippant, it sounds hopeless. Plus, it leaves the staff wondering what the heck “it” is. It’s a totally empty phrase if no one knows what the “next level” is. It sounds motivational but is meaningless if you’re not spelling out exactly what that entails. And most people leave that part out. So, if you’re not following it with something like “increase production by 25%,” then you’re just wasting your breath. While it’s a good concept, it’s not an effective way to direct people to do their jobs. It implies they’re dumb and they should know how to do things more efficiently. Instead, show them better ways to accomplish tasks. Or, give them time and resources to work on more efficient workflow. Also, be willing to roll up your sleeves. Sometimes, working harder is the only way to get things done. Some leaders use this cliché when they’re frustrated by a tough goal and the possibility that it might not be met. Truth is, failure is a possibility for every team. When things look bleak, ask your team to review what’s been done, where mistakes have been made and how you can change your approach to make success look more likely. Leaders who use this phrase can hurt their credibility and employee morale because it sounds like they aren’t being truthful. And they undercut their employees by assuming they can’t handle all the facts. Instead, tell the truth. Be candid with employees with as much information as you have. Let them ask questions and answer what you can to make the picture as clear as possible. That should be the focus all the time. 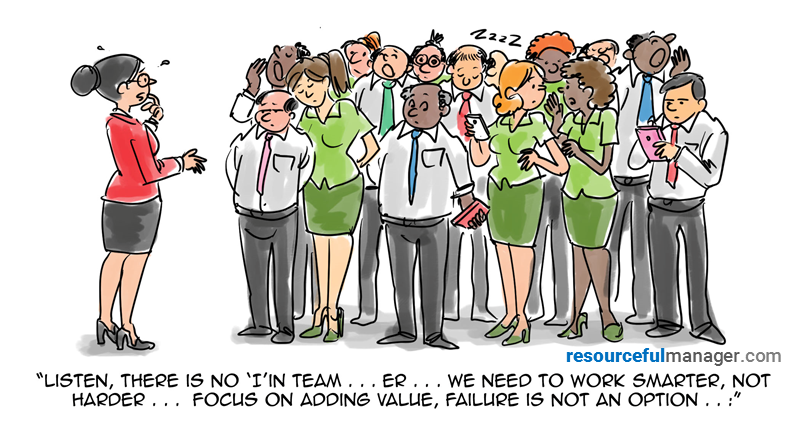 When employees or teams start to fall off course, it’s more effective to get them focused on value by helping them identify what needs improvement and how they can adjust to get back on track. If you’re looking for additional clichés and buzzwords to avoid, try this list. Cliches are the “easy” answer but are useless because. as you pointed out, nobody responds to them. It is better to say nothing unless you have something meaningful to say.